The history of Laneast | Launceston Then! Laneast (Cornish: Lanneyst) is a village and parish west of Launceston by about 6 miles just off the main B395 and on the edge of Bodmin Moor. It lies above the River Inny valley and is bounded on the North by the Parishes of Treneglos and Tresmeer, on the East by Egloskerry and Trewen, on the South by Altarnun, and on the West by St Clether. The parish church is dedicated to Saint Sidwell and St. Michael. Lan in the ancient Cornish language signifies church. This parish may therefore have derived its name from Lan, its church, and East, the hundred in which it stands. It is situated in the north division of the hundred, of East, and in the deanery of Trigg Major. Wesleyan Chapel was opened in July 1861, with the Revd. Thomas Adams preaching at the first service. Immediately after the service a tea meeting was held at Trevenn, with a party of 400. The chapel’s erection cost £194 in total, of which subscriptions had raised £130 and the tea meeting another £28, leaving the debt total at £36 which was soon cleared at the years end. John Couch Adams, a mathematical genius who became Professor of Mathematics at St John’s College, Cambridge was born at Lidcott Farm (below) in this parish in 1819. He was a famous Astrologer and discovered the planet Neptune. 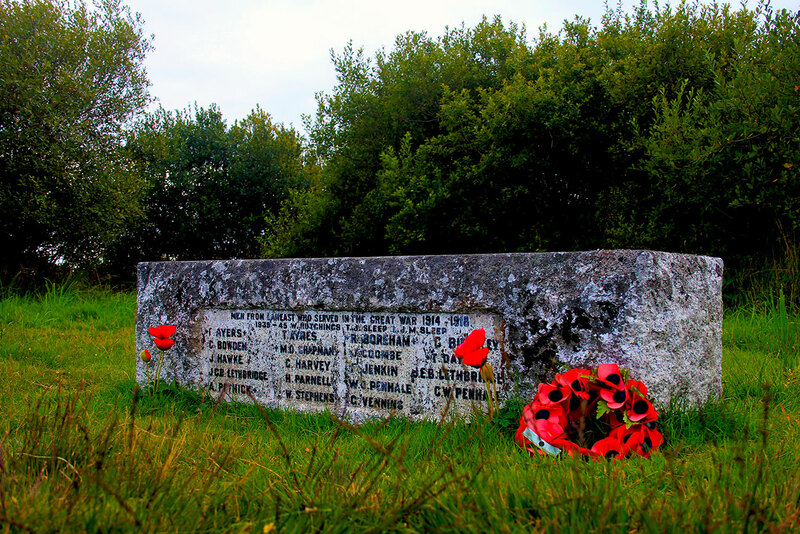 The main war memorial (below) is situated a fair walk from the village being on the Laneast downs. It is a simple design on a rectangle piece of granite and lists all the men that served in both wars. Frank was born in 1896 to Charles Henry and Elizabeth Ann Ayers at Davidstow. His Father was a Farm Labourer and with his wife was a Bible Christian. On leaving school Frank went to work also as a Farm Labourer. He enlisted in November 1915 with the Duke of Cornwall’s Light Infantry as a Private (Regimental No. 24020) serving with the 10th (Service) Battalion (Cornwall Pioneers) in the 2nd Division. He arrived in France in the August of 1916. He was killed just a month later on September 6th when a high explosive shell hit his dug out in the Hebuterne / Colincamps sector of the Somme. He was interred at the Sucrerie Military Cemetery. His name is also commemorated on the Laneast War Memorial and Memorial Seat. Thomas was the younger brother of Frank being born in 1898 to Charles and Elizabeth Ayers at Churchtown, Tresmeer. His Father was an Agricultural Labourer with the family living at Badgall, Laneast in 1911. He served with the 4th Battalion of the Duke of Cornwall’s Light Infantry. Robert was born in 1896 in London to Robert and Rosina (nee Fairbank) Boreham of 62, Queen’s Rd., Plaistow, London. In 1911 he was working as an Indoor Boy for Mr. H. E. Harvey at the Barton, Laneast. He enlisted at Launceston initially with the Worcestershire Regiment (Regimental No. 5213) but was later transferred to the Machine Gun Corps. (Regimental No.65778) serving with 202nd Company (Formed at Grantham. Joined 59th Division, but moved in March 1917 to 66th Division. He again transferred to 66 Battalion MGC on 11 March 1918). He was killed in action at the Battle of Poelcapelle, a phase of the Third Battle of the Ypres on the 10th of October 1917 aged 21. He is interred at the Dochy Farm New British Cemetery, Langemark-Poelkapelle, West Flanders (West-Vlaanderen), Belgium, Plot 4, Row C, Grave 12. His name is also commemorated on the Laneast War Memorial and Memorial Seat. George was born in 1890 at Gunnislake. In the 1911 census he shown as working for Mr. Charles Dawe at Wolleux, Laneast as a Waggoner. He enlisted with the Duke of Cornwall’s Light Infantry serving with the 3rd Battalion (Regimental No. 3641). There is no information available except that he was a 2nd Lieutenant. Matthew or Dennis as he was known, was born in 1898 to William and Annie (nee Elizabeth Annie Mules) Chapman at Downend, Laneast. His Father was a Butcher and Farmer although by 1911 he was working as a Registrar. He enlisted at Launceston with the Somerset Light Infantry (Regimental No. 28252) serving with the 8th Battalion and the 262 Infantry Battalion. The Battalion took part in The Battles of the ‘Ancre’, the ‘Albert’, of ‘Havrincourt’, ‘Canal du Nord’, and of ‘Cambrai’ during 1918, and were in pursuit of the Germans who were now in full retreat during October. Matthew however was wounded during this pursuit, possibly sustained in the Battle of the Selle, and he died on November 1st, 1918 just 10 days before the armistice, aged 20. He was interred at the Querenaing Communal Cemetery, Querenaing, Departement du Nord, Nord-Pas-de-Calais, France. His name is also commemorated on the Laneast War Memorial and Memorial Seat. Quite possibly John Coombe who was born in 1880 to John and Grace Coombe as the family were residing in Laneast in 1891. He enlisted at Hayle with the Duke of Cornwalls Light Infantry (Regimental No.24204) serving with the 7th Battalion. He was killed in action on the 22nd of March 1918 during the Battle Of St Quentin at Happencourt in the Somme Valley. His body was never identified but his name is commemorated on the Pozieres Memorial, Pozieres, Departement de la Somme, Picardie, France, Plot: Panel 45. His name is also commemorated on the Laneast War Memorial and Memorial Seat. At the time of his death his mother, now a widow, was living at Treyeare Lodge, Lewannick, Launceston. No information available except that he served with the Royal Navy. J was a Private with the Duke of Cornwall’s Light Infantry and was residing at Midlanes, Laneast at the time of the war. Claude was born on the 12th of January 1895 to Richard and Emma J. Harvey at Trelaske Barton, Lewannick. His Father was a Agricultural Labourer. On leaving school he first went to work for a Mr. James Richards of Tregrenna Farm, Altarnun as a cowboy but by 1913 he was working as a fitter for East Cornwall Garage Launceston. He enlisted with the Duke of Cornwall’s Light Infantry reserve 5th Battalion as a Private (Regimental No. 1387) in 1913. He was embodied on the 4th of August and was transferred to the 4th Battalion (Regimental No. 201170) and embarking for India aboard the ‘S.S. Caledonia’ on the 11th of December 1914. On the 17th of May 1917 he was transferred to the Machine Gun Corps (Regimental No. 94603) serving with the 260th Company. He contacted Malaria in August of 1917 and spent 11 days in hospital. He service for the war was spent in India, predominantly in what is now known as Pakistan. Like so many people in 1918 he contacted Influenza and spent 20 days fight the virus. He embarked for England on the 27th of October 1919 and was de-mobbed on the 24th of January 1920. At that time he was shown as residing at Trewithey, North Hill but in 1924 he is living at Landue Barton, Lezant. He possibly was married twice, once in 1926 to Winnifred Landry and again in 1932 to Elsie Northey. He died in 1979. Fred was born in 1881 to George and Mary Jenkin at Pipers Pool. His Father was a Carpenter. In 1911 he was living at Trekenner, Laneast with his Siblings Issac, Percy, Mable, and Anna and working as a Farmer and Carpenter. On the 1st of January 1914 he married Laura Treglown at Newquay. He enlisted at Launceston on the 29th of February 1916 with the Royal Engineers 15th Battalion Tank Corps. (Regimental No. 307360). He was then posted to Army Reserve on the 1st of March 1917 and it wasn’t until 9th of June 1917 that he first joined for duty. He arrived in France on the 8th of July 1918 where he saw his first action. He survived the War and was discharged on the 1st of February 1919. John was born on the 7th of February 1891 to Edward and Ada Lethbridge at Tregeare House, Tregeare. His Father was a Justice of the Peace in Launceston and also a large landowner. He joined the Devon Yeomanry and achieved the rank of Major. He survived the war and lived until 1972. James (Brother of John above) was born on the 7th of February 1894 to Edward and Ada Lethbridge at Tregeare House, Tregeare. His Father was a Justice of the Peace in Launceston and also a large landowner. He enlisted with the 1st Devon Yeomanry serving as a Lieutenant and then with 20 Hussars serving as a 2nd Lieutenant fighting in Egypt. He survived the war and eventually achieved the rank of Major. He died in December 1980. George was born on the 1st of May 1895 William and Anna Maria (nee Nottle) Penhale at Trespearne, Laneast. On leaving school George worked at home on his Fathers farm. George enlisted in 1916 with the Duke of Cornwall’s Light Infantry as a private (Regimental No. 34705) serving with the 2nd Battalion. Whilst attached to the 10th entrenching Battalion in April 1917 he received a gunshot wound to his left shoulder, fracturing part of it. He was taken to No. 31 & No. 35 Casualty Clearing Station and then on to the Hospital Ship Ghurka. On being invalided out, George returned home to his parents farm. In December 1919 he married Clara Lilian Chapman at Launceston and the two children one, a son, George D Penhale dying at only 3 months old in 1922. George died at Tavistock on the 3rd of April 1972 at the age of 76. William was born on the 13th of August 1893 to William and Anna Maria (nee Nottle) Penhale at Trespearne, Laneast (he was George’s elder brother). William enlisted as a Private with the Royal 1st Devon Yeomanry (Regimental No. 1999) on a 5 year service period. The best part of his career was spent in this country although from the 23rd of September to the 3rd of April 1916 he saw service at Gallipoli. He returned back to England via Alexandria, Egypt and was demobilised on the 27th of April 1916 having fulfilled his 5 year contract of service. Although he was liable for a recall at any time during the war, he never saw service again and continued working on his Fathers farm. 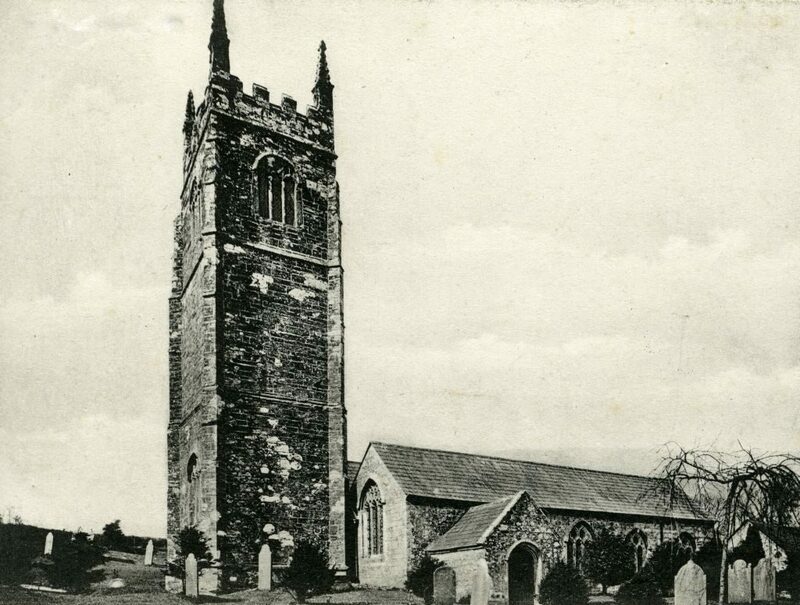 In 1916 he married Mabel Ann Higgins at Camelford and they had three children. William died in 1974 at Launceston. Albert was born in 1892 to Job Frank and Eliza (Nee Thomas) Pethick at Badgall, Tresmeer. His Father was an Agricultural Labourer. On leaving school, Albert worked as a Waggoner on a Farm but in 1914 was working for the London and South West Railway as a Plate Layer working out of Tresmeer. He enlisted at Launceston in 1914 with the Duke of Cornwalls Light Infantry as a Private (Regimental No. 24462) serving with the 1st Battalion. During his service, Albert would have seen action at the Battles Of Ypres in 1915, the Battles Of The Somme in 1916, and The Battle of Arras in 1917 where he would have taken part in Battle Of Vimy Ridge. It was in the Battle of Arras that Albert was killed in action April 20th, 1917. His body was never identified but his name is commemorated on the Arras Memorial at Faubourg-D´Amiens Cemetery, Arras. His name is also commemorated on the Laneast War Memorial and Memorial Seat. George was born in 1885 at Week St Mary to George and Elizabeth Venning. His Father was an Agricultural Labourer. On leaving school, George went to work at Tregunnon Farm, Altarnun for Mr. Henry Herring as a Carter. He married Alice and in 1911 they were living at Badgall with their new born Son Alfred J. Venning with George working as a Farm Labourer. He enlisted at Launceston on the 11th of December 1915 initially with the Royal Berkshire Regiment (Regimental No.25341) 11th Battalion, subsequently transferred to the Labour Corps (Regimental No. 95800) and lastly to the Middlesex Regiment (Regimental G/52637) serving with the 5th Battalion 160th Late Company. He was demobilised as not being fit for war work on the 23rd of March 1919 after spending 28 days in hospital. This is possibly William E. Hutchings who was born on March 17th, 1910 to William F. and Eva Hutchings. The family were living at Barton Cottage, Laneast, in the 1939 register, with both William and his father working as heavy road stone quarries. William junior was listed as being a widower. The is no further information. Thomas was born in September 22nd, 1906 at Laneast to Thomas and Annie Sleep, being baptised at Laneast Church on May 2nd, 1907. His father was a farm labourer. 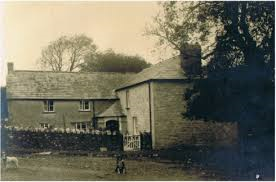 By 1939, Thomas was residing with the Wickett household at Irevenn Cottage near Camelford and working as a road quarrier. There is no information on his military record or death. Leslie was born on October 5th, 1914 at Mid Inny, Laneast, to John and Rosina Jane (nee Morris). His father worked as a farm labourer and on leaving school, Leslie went to work for Cornwall County Council as a labourer. His military record is sketchy, but he could have served with the 7th Battalion of the Royal Warwickshire Regiment as a private (Regimental No. 5109635) and was listed as wounded or missing on May 28th, 1940, which was then confirmed a year later that he had died of his wounds. His name is also commemorated on the Laneast War Memorial and Memorial Seat. If you have any information that can help fill in the gaps for these men please contact rogerpyke1@gmail.com.